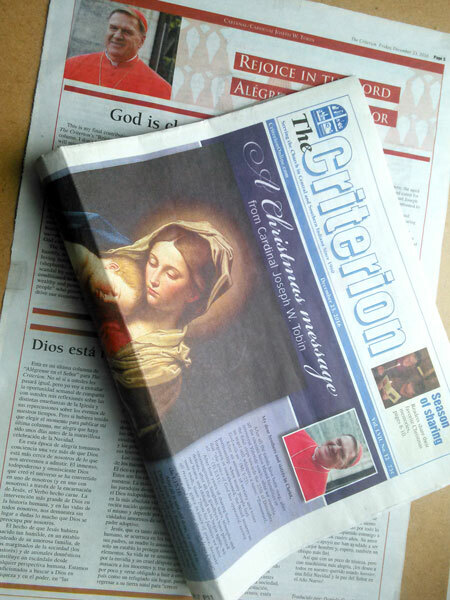 My name is Mike Krokos, editor of The Criterion, weekly newspaper of the Archdiocese of Indianapolis, and I have served as supervisor of our publication for the past 11 years. During that time, Daniela Guanipa, through her company Glossa Language Consulting & Translation, has served as a translator for our company. Her work, in fact, dates back several years before my arrival. From my perspective, I can say without hesitation that we have always received top-notch, first-class service as a client. 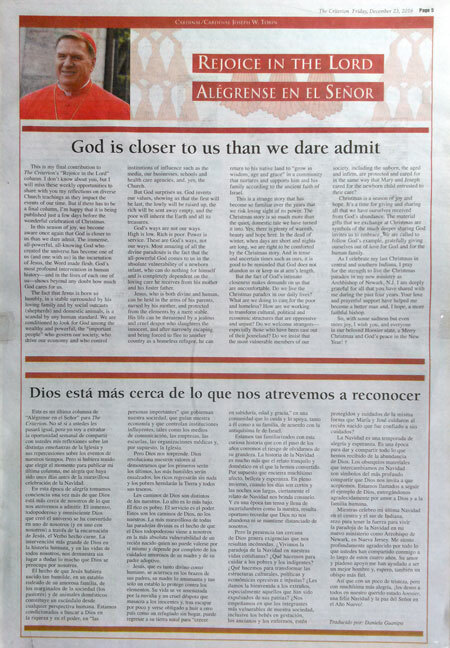 Our circulation is approximately 70,000—with a growing Hispanic population—and for several years we have asked Daniela to translation a weekly column written by the Archbishop of Indianapolis into Spanish for us. She has never missed a deadline. We have also, on occasion, had to get “breaking news” items translated into Spanish for our publication, and, at a moment’s notice, Daniela has always stepped up and provided the service needed. Her work for the Catholic Church in central and southern Indiana doesn’t end there. Other offices and agencies in the archdiocese have used Daniela as a translator as well, and they are always quick to share how much they appreciate her professionalism and consistency in meeting deadlines and doing great work. As an editor, another thing I appreciate is having an extra set of eyes looking at our material. On more than one occasion, Daniela has caught typographical errors or other mistakes that got by me and other members of our staff. I would wholeheartedly recommend using Daniela for your translation needs. She is a consummate professional, and you will not be disappointed.